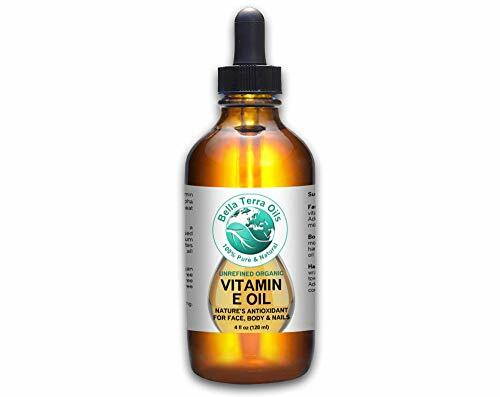 Top 5 Best Vitamin E Oil of 2019: Do NOT Buy Before Reading This! I was looking for the best Vitamin E oil for my skin. I was surprised to find that many of the "facts" I knew about Vitamin E for skin were myths, or, at best, anecdotal. Luckily, research findings show that Vitamin E is very good for your skin – it’s just not good for everything. I’m going to run through a bit of the science about Vitamin E and see which claims are true and which are myths. Based on this, I’ll suggest criteria for finding the best brands of Vitamin E oil. Then I’ll review a few products that met my criteria. The marketing of this product focuses on the differences between natural and synthetic. The message is that natural is twice as powerful as synthetic. They say that everything in the product is organic and GMO free, although there is no certification. Jojoba, avocado and rice bran oils bring their own Vitamin E.
Importantly, rice bran oil is high in tocotrienols – not many products can claim this. This is particularly important for anti-aging and for the fading of age spots. Lavender and palmarosa are known to treat dry and irritated skin. The concentration levels are good, at 15,000 IU. The manufacturer’s claim is 82% concentration. This product is pricey at about $40. However, although you might pay more, you will be guaranteed results. I found it disappointing that the suppliers clearly knew why their product was superior, but they fell into the trap of being like everyone else and pushing the non-validated claims about stretch marks and scars. Why would the headline be about essential drops being lighter than cream or gel? There were far more powerful claims to make – if they were prepared to educate the public. This is a 100% pure and natural Vitamin E oil, with no carrier oils. The concentration is at maximum strength at 75,000 IU. It is cold-pressed from wheat germ, which is one of the best sources of d-alpha-tocopherol. Pure Vitamin E oil is quite thick and sticky. So, the recommendation is to thin it down with your own choice of carrier oil. Or you can add it to your moisturizer, hand cream, shampoo and conditioner. It can be used as it is to soften cuticles (there’s research that shows this is very effective) or to rub into hard or calloused heels. If you are wheat intolerant, it’s a good idea to do a skin patch test first. Vitamin E can be quite unstable on its own, so I’d keep an eye on the expiry date. The oil is likely to be effective for what the label says: moisturizer, promoting skin elasticity, anti-aging, wrinkles, "mature" skin. I’m not sure about brown spots and skin discoloration as the product doesn’t have tocotrienols. Stretch marks are also mentioned, but with the careful wording that the product "can be effective" for preventing stretch marks. The reason that I’ve taken off marks is because I look for products that have tocotrienols as well as tocopherols. This product has quite a few elements going for it. It is 100% natural, containing only vitamin E oil (from soy) plus coconut oil ester. Soy and coconut oil have both alpha- and gamma-tocopherols. Coconut oil is a good carrier oil as it improves the texture of the Vitamin E oil and increases its absorption into the skin. It also ensures that moisture is not lost from the skin. The oil has no GMO, is vegan and has not been tested on animals. The concentration seems adequate at 10,000 IU. This is enough for the antioxidant benefits associated with anti-aging and UVB protection. It can be used directly on the skin – remembering that a little goes a long way, and only a few drops are needed. Alternatively, it can be added to other skin care products. This is a small family-owned company. They produce small batches to ensure that the oil they sell is always fresh. It’s just a pity that they make such strong claims that it is "the best way" to treat scars and stretch marks, when there is only anecdotal evidence to support this. They also claim to be non-GMO but there’s no certification for this. The marketing focus is on absorbency of this 100% natural oil. The base is soy, and the carrier is sweet almond oil to improve viscosity and make it easier to apply. It is quickly absorbed into the skin and does not leave a greasy layer. Soybean oil has both alpha and gamma forms of tocopherols, which will improve its antioxidant properties. Almond oil is a good choice as a carrier oil, as it is also quite rich in Vitamin E.
As for so many other products, the suppliers are pushing the "best for scars and stretch marks" marketing message, which I find unfortunate, given the lack of scientific evidence for this. However, other parts of their labeling are very accurate. For example, they don’t say that the oil will moisturize your skin. They give the more accurate description that, "It prevents water loss and retains the skin’s natural moisture". A nice touch is that a free e-Book is included with every order. It gives "Skincare Tips and Tricks" plus information about ways to use Vitamin E.
My concern about this brand is that, although there’s an official-looking "Made with non-GMO ingredients" stamp in the marketing blurb, there is no certification for this. Given that most soybean is in fact GMO, I would think that it would be important to prove that the brand was clear. In addition, the product is labeled as "professional grade". While this may look impressive, it is meaningless. There is no governing body for grading of cosmetic oils, in Canada, where this brand is based, or anywhere else in the world. The brand Jasön means "healer" in Greek. I liked the Code of Honor: "Select safe, wholesome, natural ingredients, rigorously test every formula to ensure safety and efficacy, never test on animals, and constantly innovate and improve." Avocado, Rice Bran and Wheat Germ Oils add significant additional Vitamin E, and rice bran adds tocotrienols. Apricot oil soothes the skin and slows aging. Sweet almond oil helps to cleanse the skin and adds a fresh odor to the oil. The product is "certified organic" for the sunflower and safflower oils, but not for the others. Some synthetic vitamin E has been added to the formula, possibly to make it more stable and to extend the shelf life. The claim is for 5,000 IU. Although this is sufficient to meet the general claims for Vitamin E, it seems lower than we might anticipate, if the blend of oils is considered. This might be the reason for the very low price? It is interesting that rice bran is listed on the label, but not in the marketing blurb. This seems to me to be a missed opportunity for manufacturers to educate shoppers about tocotrienols in Vitamin E.
​What Should We Know About Vitamin E? Vitamin E comes in 8 forms, and in different combinations of these forms or compounds. Each one has certain biological activities and potential benefits. Most of us have heard about tocopherols, but not about tocotrienols. It’s only recently that we have started to understand their role. For example, the tocotrienols are 40 – 60 times more powerful as antioxidants than the tocopherols. In fact, tocotrienols have been called "the Vitamin E of the 21st Century". Tocopherols are found in corn, wheat and soybeans. Tocotrienols are in barley, oats, palm, and rice bran. Natural vitamin E has twice the bioavailability of synthetic tocopherol. Some synthetic forms have only 2% of the biological activity of natural alpha-tocopherol. So, it’s important to read labels carefully. Natural Vitamin E is labelled as d-alpha-tocopherol. Synthetic is dl-alpha-tocopherol. "Tocopherol acetate" is a combination of natural tocopherol and acetic acid. Manufacturers use it because it is cheaper and has a longer shelf life than pure Vitamin E.
Pure Vitamin E oil is quite sticky and thick. So, carrier oils are often added to thin it down and make it usable on your face or as a body oil or massage oil. The quality of the oil you are buying is very often determined by the carrier oil selected and whether there are other additives. I check on whether the carrier oil is adding a different Vitamin E compound, especially one of the tocotrienols. Concentrations matter. For example, you need at least 20% concentration of tocopherol-acetate in the cream/lotion/oil you are using if you wanted to increase the Vitamin E levels in the skin. However, working out concentration in the product you are buying is difficult! This is because Vitamin E in a product is given in IU (international units). But IU is a measure of biological activity, not quantity! So, what does 10,000IU mean? From 2018, US FDA labeling laws for food products require mg of vitamins, not IU. Hopefully the cosmetic industry will follow suit. For now, we must believe that the manufacturers are telling the truth about the IU levels and that the higher the IU the higher the probable effectiveness of the product! What we do know is that we need higher IU levels for synthetics. 100 IU of natural Vit E = 67mg, while 100 IU of synthetic is only 45mg. 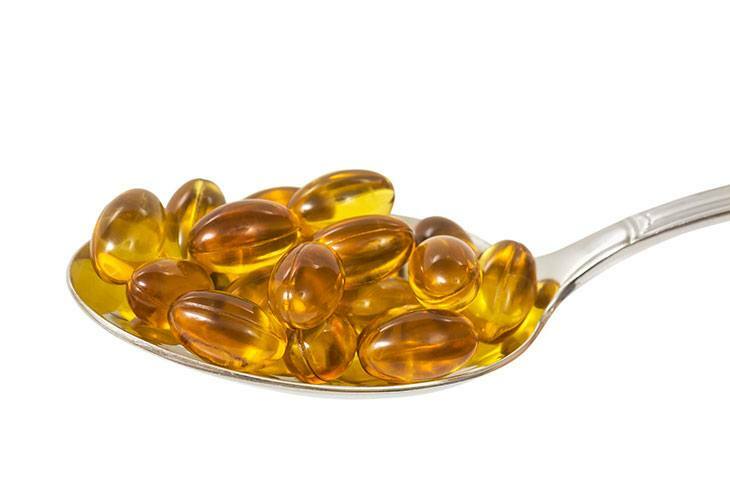 Claims Made for Vitamin E for Skin: What Does the Research Say? 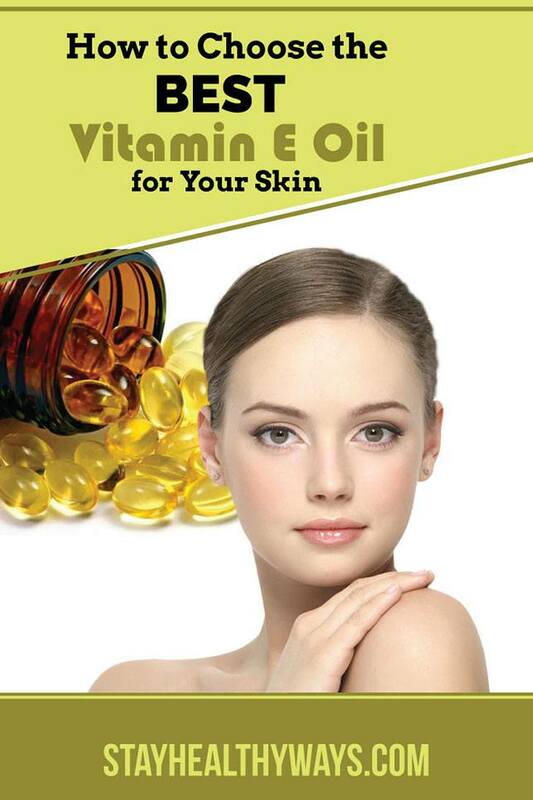 Vitamin E is excellent as a protection against sunburn, suntan and skin cancer. It reverses the pigmentation and wrinkles of photo-ageing. However, this must be a natural form of Vitamin E. The synthetic versions don’t have the same effect. Results are better if you add Vitamin C, and if the product has both tocopherols and tocotrienols. Wrinkles mostly come because of exposure to UVB. Gamma tocotrienol is most effective in preventing this damage. Studies on damaged skin showed that water loss from skin was reduced by a 20% concentration of p-acetate cream. Studies show that gamma and delta tocotrienols decrease the synthesis of melanin. This leads to lightening of the skin and fading of age spots. Vitamin E oil without these two tocotrienols will have no effect on age spots or hyperpigmentation. In studies on rats and mice, Vitamin E reduced swelling and skin irritation from allergic contact dermatitis. Tocotrienols significantly reduced scratching, skin thickening and levels of histamine. There are two ways of looking at this list. They may be unsubstantiated claims that are repeated by people who have not checked the science (you’d probably be surprised by how often this happens!). Alternatively, given the strong anecdotal nature of the claims, it may be that these outcomes are related to tocotrienols in Vitamin E, and most research in the past has been done around tocopherols and synthetics. It will be interesting to follow the newer research. How Will You Know Which Is the Best Vitamin E Oil for Your Skin? I’ve used the criteria above to review some Vitamin E brands on the market. This is what I found. When I finished, I realised I should have added “Brand does not make unsubstantiated claims” and "Good value for money" as additional criteria. In summary, this is how I rated these oils. 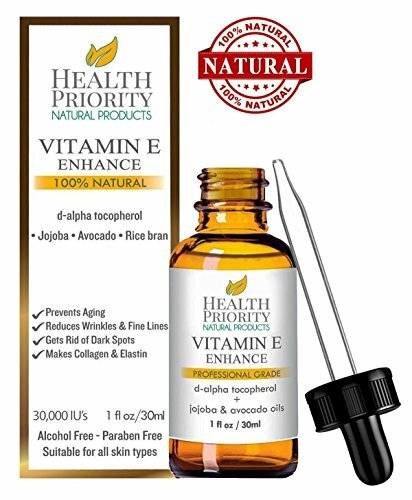 1st: Health Priority Natural: Vitamin E Enhance. This product met all 4 of my criteria: natural oil with a good base, excellent blend of organic carrier oils, which inclde tocotrienols, and good concentration. It lost a point with me because of unsubstantiated claims and the product may be quite pricey. 2nd: Bella Terra Oils: Organic Vitamin E Oil. It met 3 of my 4 criteria – just missed having a combination of Vit E compounds. I liked that it is a pure, natural Vitamin E oil from wheat germ, with no carriers or additives. It has maximum concentration. It seems to be very good value for money. This product met all my criteria. It is natural, has more than one of the 8 Vitamin E compounds, has a good carrier oil and has sufficient concentration. It lost marks with me for making unsubstantiated claims, including that the product is non-GMO. The price is reasonable, but more than double the $ per oz of my top picks, and the concentration is just adequate. 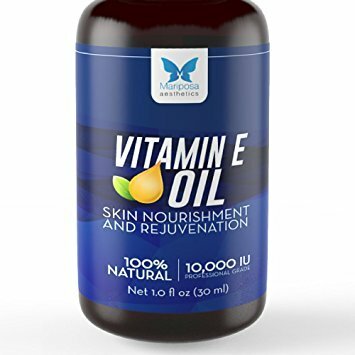 4th: Mariposa Aesthetics: Vitamin E Oil. Again, this product met all my criteria. It is natural, with a combination of soy and sweet almond oil. This means more than one type of tocopherol, although there are no tocotrienols. The concentration is adequate.However, I didn’t like way they so strongly presented unsubstantiated claims and meaningless labels. I want definite proof that soy is non-GMO. This oil is mostly natural, but some synthetic Vitamin E has been added. There is a good blend of carrier oils, although they don’t seem to be organic. I was not sure whether the concentration level was high enough to be effective. Please try some of these brands – Vitamin E really is good for your skin! – and let me know how you found them. What Is the Best Rosehip Oil for the Face of 2018?